PL*Nilfgaard Ramzzi is our first male in cattery. 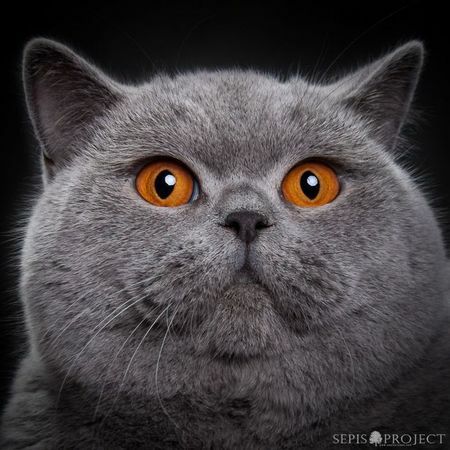 He arrived to us from the most accomplished british shorthair cat cattery in Poland-Nilfggard. Ramzzi is Spike van Black Lake'son, fantastic british shorthair male in Holland and beautifull girl Delice Secret Recipe from Slovakia. Ramzzi's pedigree has gorgeous lines so we will hope that with our british girl give us fantastic kittens. Ramzzi is big, massive boy with big, round head and full chicks. He has beautifull dark orange colour eyes and light blue, dense coat. He has quiet, calm and very friendly character without a hint of aggression. This boy is ownership with Nilfgaard cattery.